McNabb's Eagles used to torment my Falcons on a yearly basis but even I know he doesn't deserve to be treated this way. I know this isn’t exactly “NFL Draft” related, but it’s something I felt that I needed to talk about. I am honestly shocked and a frankly a bit disgusted that the Redskins have decided to bench Donovan McNabb. Now, I would definitely not call myself a fan of McNabb’s. 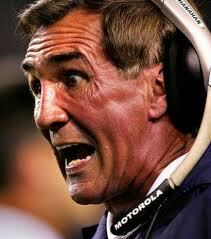 In fact, for many years when he was on Eagles teams that knocked my beloved Falcons out of the playoffs I despised him. But despite my hatred for him and those Eagles teams who always got in the way of my team come playoff time I always respected him because he was and is a quality NFL QB. The Redskins made a play to bring him in and like the Redskins always do they raised expectations too high with veteran acquisitions with too little well-developed talent to ever live up to the expectations of the front office, the media and the fans. Now, I still believe McNabb is a good QB and his play this season will not change my mind about that. Why you ask? Let’s consider what he is working with on the offensive line. He has a rookie protecting his blind side in Trent Williams, and despite his high draft status he can’t be expected to step up to the NFL level and dominate talented DE’s that he will face, especially in a division with the Giants who have been pressuring QB’s consistently for years, the Eagles who usually have a stable full of quick edge rushers, as well as the Cowboys who have one of the best in the business at getting after the passer in DeMarcus Ware. In addition to Williams the Redskins are starting Kory Lichtensteiger, Casey Rabach and Will Montgomery in the middle of their offensive line. Lichtensteiger was a fourth round pick by the Broncos two years ago who moved to guard because he didn’t have much experience snapping in a traditional pro-style offense, Rabach is a former third round pick of the Ravens who has, to put it lightly, not had a very good season of pass protection. Montgomery is a former seventh round pick of the Panthers, and he plays next to Jamaal Brown, the former Saints left tackle who they tried so hard to get rid of last season. Not exactly a stellar group of players blocking for him, they have needed significant help up front for a couple of years but they have continued to ignore it, even while drafting Trent Williams. They could use an upgrade at LG, C and RG and depending on how Brown looked at RT they could use help there as well. Not only that, but McNabb doesn’t have a whole lot of talent around him. Two guys who were supposed to contribute, Devin Thomas and Malcolm Kelly, have produced nothing since being drafted and it is probably fair to label them busts at this point having been picked in the second round. Santana Moss is still there, as is Clinton Portis, but as most people know Portis has not been healthy much this season and that has left Ryan Torain as the lead back. However, it is well known that the Redskins need a wide receiver capable of being a go-to guy on offense which they currently lack. So besides their woeful offensive line they have little talent outside at the skill positions outside of TE where they have reliable targets in Chris Cooley and Fred Davis (even though Davis can be inconsistent). So is it really fair to blame McNabb’s career high 15 INT’s entirely on him? I don’t think so. That makes this benching all the more confusing. Yes he has had a down statistical season, but if you are going to bench McNabb you should bench at least three members of the offensive line, Ryan Torain, Santana Moss and Anthony Armstrong so they can see what they have in other players. Because if Rex Grossman and John Beck, two NFL journeymen who have little value as potential starting QB’s if they have any at all, warrant exploration, then anyone on that roster has a legitimate case to get some playing time over the next three weeks. If Shanahan actually releases McNabb not only would the Redskins shoulder a substantial cap hit, he would put a quality starting QB on the free agent market. There is one intriguing thought I had about all of this. If the Redskins, despite the contract extension they gave McNabb and any evidence I or anyone else can come up with to support the idea that this season really isn’t a great reflection of McNabb’s ability as a NFL QB, do ultimately decide to release him there will be a number of teams lining up for his services, the first of which should be the Minnesota Vikings. I think it is pretty obvious that Brett Favre should have retired last season, and I don’t think that he should come back for another year. It’s a shame that his career may have to end this way, but it really is his own fault for coming back one year more than he should have. But without Favre the Vikings will be searching for a new QB. I, like most people, am convinced that Tarvaris Jackson is not the answer at QB for the Vikings. I am not even sure he is a reliable enough option for an interim-only basis. Joe Webb will get his first career start on Monday Night Football against the Bears in TCF Bank Stadium, so that will be a good opportunity for the Vikings to evaluate whether or not he is worth keeping as a developmental QB or as a potential #2 at some point. Beyond that, though, the Vikings literally have no talent at QB. They should be in the market for a veteran to take the reigns for at least a year and a young QB to develop into an eventual starter this year, and should McNabb become available I imagine the Vikings would spare no expense to get him to Winter Park to sell him on the organization. If they were able to get McNabb it would save the Vikings from potentially spiraling into the bottom of the NFC North with the Detroit Lions for a couple of seasons. He won’t fix the offensive line, the defensive line or the secondary, but he would solidify the QB position which is probably their most pressing need at the moment, and that’s something. Not to mention having McNabb would be a great buffer for whoever they draft to play QB in the future because ideally he would play well enough for at least a year or hopefully two years to keep fans from clamoring for the young gun to play. So it will be interesting to see how this situation plays out. Hopefully the Redskins don’t just release McNabb, but if he doesn’t want to play there anymore and they do cut him then I’m sure the Vikings would be more than happy to scoop him up. 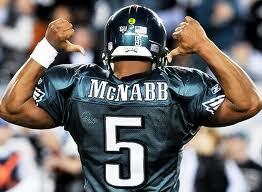 God knows McNabb deserves a team who will treat him with some respect. Maybe the Vikings could be that team.